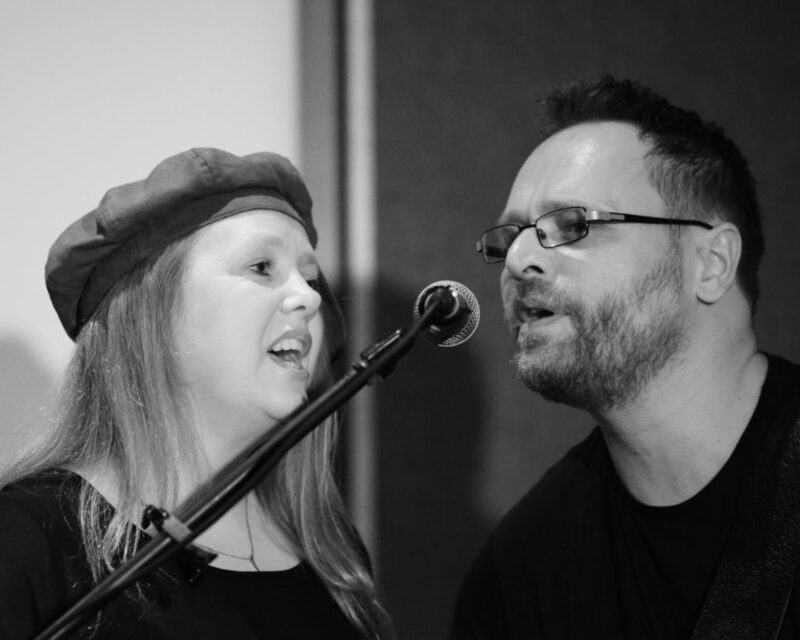 In a change of venue Ardshiel Hotel’s packed Arran lounge created an intimate evening for a pair of folk singers. 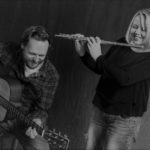 The duo, Gill Halliday and Chris Sesar, backed clever lyrics with wind instruments and the guitar. Neither had played Campbeltown in the past, despite extensivly touring Scotland since it became Chris’ adoptive home more than two decades ago. They soon warmed to the receptive audience who equally appreciated the chance to hear singer-songwriters performing largely their own material. Chris spoke about the act of falling in and out of love and said: ‘Mathematically I think there should be as many falling love songs as there are falling out but sometimes the maths does not work. Gill said that the audience should be aware it was not her with whom Chris was falling in and out of love. Gill’s teenage son who was never named was the subject of a number of songs about bringing up teenagers. Gill added when they are aged two, and lying on the supermarket floor bawling their head off, the reality is somewhat different. ‘In their teenage years they grow horns,’ Gill added. Following a short interval the duo sung a song about Raasay. They introduced it by talking of a family holiday when a child kept asking: ‘What are we going to do now?’ The parents asked themselves the same question when, exhausted, they finally got the children to bed at 11pm. The second half also saw the pair move briefly into political territory with a protest song about the man in the White House. Overall the songs, despite the sometimes sad themes, were inspiring and uplifting. Gill and Chris left the lounge to rapturous applause. That spared some a ‘guilty’ walk past a table stacked with CDs.